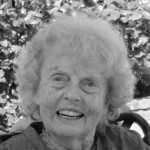 Eleanor Pilon (2018) was born in Bellingham in 1928. Eleanor was involved in many community organizations, including Camp Fire Samish. 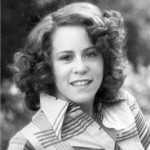 She was a Camp Fire leader, board member, Candy Sale Chairperson, and day camp volunteer. 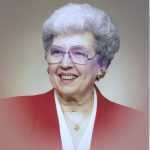 In 1982, she was awarded the Luther Halsey Gulick Award, the highest form of recognition given by a Camp Fire Council. Chuck Davis (2017) was born and raised in Sedro-Woolley with his brother Norm and sisters Marilyn, Margery and Marlene. He went to the U.S. Merchant Marine Academy and later to law school at the University of Washington to become a maritime attorney. Chuck practiced in Seattle but would often return to Skagit County to take his family camping on Samish Island. They moved there permanently in 2000. 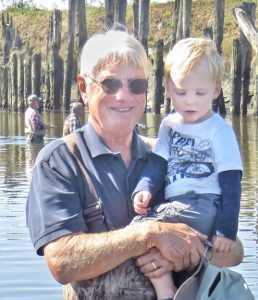 He was a long-time donor to Camp Fire Samish and Camp Kirby, and was a well-loved member of the Samish Island community. Ursula Greenough (2017) was born in Chicago, Illinois and passed away in Dayton, Ohio. Ursula was a generous, kind person of the utmost integrity. She was thoughtful, honest, hardworking and genuine. As Regional Membership Manager for Camp Fire Samish in Island County for many years, she participated with her clubs in Holland Happenings, the 4th of July Parade, and volunteering in the Oak Harbor community. Ursula had a heart of gold and was a true friend to many. She was dedicated and passionate about Camp Fire, dedicated to her leaders and worked tirelessly to share Samish Council with her community. Helen Rudy (2017) was born in North Dakota in 1926 and in 1941 moved to Whatcom County. She graduated from Blaine High School in 1943, and in 1948 married Joseph Rudy to whom she was married for 54 years. Helen was involved in many community organizations, including Camp Fire Samish and Camp Kirby. 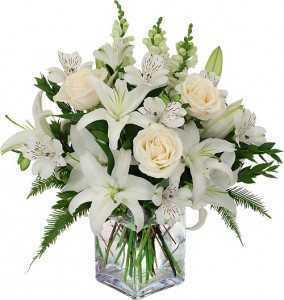 Helen was a loving, caring mother, grandmother, wife, and friend. She always had a smile and great hugs for everyone; she was very happy and vibrant. She loved to garden, camp and spend time with her family. She was a long-time quilter, often donating her creations to community auctions as a fundraiser. Marjorie Atterbury Nordby (2016) was involved with Camp Fire Samish since the late 1950’s, first as a group leader and assistant leader, then as a group sponsor for many years. Margie assisted with many candy sales over the years, and was a supportive mentor of Camp Fire Samish activities. From Day Camp at Whatcom Falls Park and group weekends at Camp Kirby to long time Camp Fire connections, Margie’s positive attitude, kindness, and encouragement was a major support for many youth and adults during her many years in Camp Fire. She was one of the original founding members of Wakumi Alumni Association and worked faithfully at Wakumi’s many rummage sales to raise money to support Camp Kirby. Margie was an active volunteer in the Camp Fire Samish office in her retirement and she always had a smile and encouraging word for anyone supporting programs to nurture children and youth. Vi Jewell (2012) was a fondly remembered Camp Fire Leader in Whatcom County and was involved with Camp Kirby throughout her youth and adulthood. She was the Camp Kirby Directorfrom 1960-1964. A memorial stone bench was donated to Camp Kirby in her honor. John Henken (2012) was born in Waupin, WI and moved to the Pacific Northwest when he was six months old. His presence within Camp Fire was held in high regard and his was a powerful presence within our community. John was involved in many service groups in the Skagit Valley, and his love for the Northwest community he was a part of was evident with the leadership and support he provided to these many groups over the years. He served as President of the Camp Fire Samish Council during the time his daughter, Heidi, was a Camp Fire girl. John went on to serve on the National Camp Fire Council’s Finance Committee, and he received the Guilck Award, the highest award given in this organization. Joanne Reed (2016) always had room in her heart for the many children who came through her doors with their daughter Nancy and with their extended family. 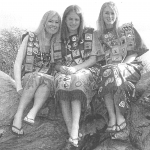 Joanne was a leader for her daughter’s Camp Fire Club and remained active with Camp Fire as a Wakumi Alumni member. She was the Day Camp Director for Whatcom Falls Camp Fire for ten years, where she shared her love and respect for the outdoors with many children and adults. Carolyn Brown (2015), known to many of us as CB or Seabee, started in Camp Fire as a Bluebird and continued on through Horizon and was awarded the WoHeLo medallion. A long-time Kirby camper, Carolyn was a member of the CIT class of 1969/1970 and worked at Camp Kirby as a counselor in the summer of 1971. Carolyn returned to work at Camp Kirby as a volunteer with the Mua Mi Village and as a result of that experience took on the position of co-director from 1994 to 1998. She and her husband were also camp caretakers for several years. CB’s legacy at Camp Kirby continues through her daughters Regan Smith (aka Artemis) and Birney Smith (aka Voodoo). Virginia M. Holt (2015) was born in 1934 in Seattle and moved to Mount Vernon with her husband, Roy in 1958. They raised a family of four in Skagit Valley. Ginna was active in the community, participating in school, sporting and music events for the children and became a Camp Fire leader. After the loss of her husband, Roy, she went to work for Christina’s in Mount Vernon. Ginna was extremely social and made friends easily. Through Camp Fire, she met her lifelong friend Bev and her husband Larry Alderman. Mary Jones Pennington (2015) Mary was born in Stockholm, Sweden and was proud to become a naturalized US citizen in her adulthood. 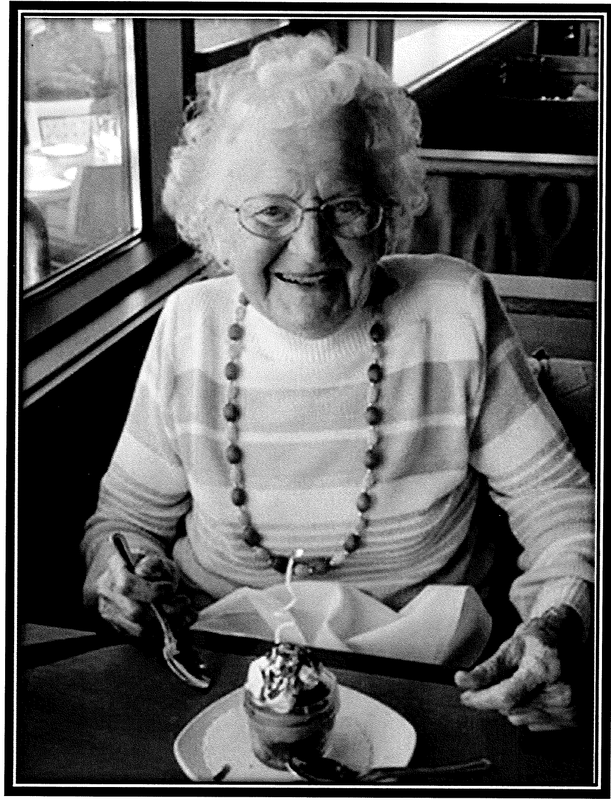 She grew up in Portland and went on to receive her Master of Arts degree in Bacteriology in 1942 from the University of Oregon. 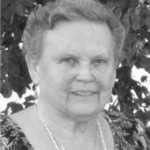 Mary and moved to Sedro-Woolley WA in 1949. 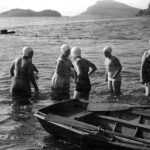 While raising four children, Mary was a member of the Medical Auxiliary, President of the Sedro-Woolley chapter of the American Association of University Women, and started the first Camp Fire Girls chapter in Sedro-Woolley. Linda McIntyre Dowe (2014) had energy and enthusiasm in all her activities. Her family believes her motto was “If it’s worth doing, it’s worth overdoing.” Linda was incredibly passionate about Camp Kirby. She attended Camp Kirby for 10 summers, and earned renown as ‘the most enthusiastic (and filthy dirty) camper.’ Linda’s sister, Lisa McIntyre, who was the director of Camp Kirby for several years, says that “whenever we needed something in a hurry, she was there.” Among many other things, Linda volunteered weekly deliveries of bread and milk to the camp. 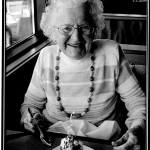 Irene Kasson (2013) settled in Bellingham, WA in 1958 with her family. In addition to travel and gardening, Irene also loved camping. She was involved as a Camp Fire club leader for many years. She had a special place for Camp Kirby and the Camp Fire organization, and was a founding member of the Wakumi Alumni. Irene was remembered fondly by members of the Camp Fire Samish community as a determined volunteer. With her tenacity and heart, Irene procured many additional items from donors for the Council’s Annual Birthday Dinner and Auction. Audree Kajfas, Camp Fire Member, Former Camp Fire Samish Executive Director. Audree Kajfas (2009) Born 1912 in a lumber camp in Karraston, WA Audree grew up in Seattle. She and her husband John lived in Bellingham for many years. Audree was an active volunteer and served as Executive Director for the Samish Council of Camp Fire from 1961 to 1977. To those who knew her best, she was a gentle soul, soft-spoken and hospitable, but with a dry sense of humor and a pun for every occasion. Audree loved talking to people, and people loved her back. 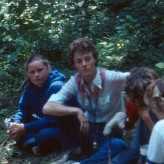 Susie Depew Tiplin (1976) was the first Camp Fire leader in Whatcom County. Born in 1891, she and her family lived at Toad Lake in Bellingham. 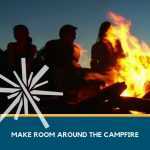 While teaching high school in Blaine she started the first Camp Fire group. Once a month she would ride her horse back to Bellingham to visit her parents. In 1916 she married Schyler Balmer Tiplin. Susie’s daughter, Mavis Elise Tiplin (Taylor), was born in 1919. Susie became her Camp Fire leader. Mavis’ younger sister, Shirley Ann, usually joined the group. Mavis also went through the ranks of Camp Fire and designed her own ceremonial gown. 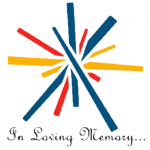 If you have a Camp Fire story in remembrance of a loved one, please contact call the office  733-5710.